So being a massive dork that I am, I couldn't turn down this Commodore Amiga lot that I came across. 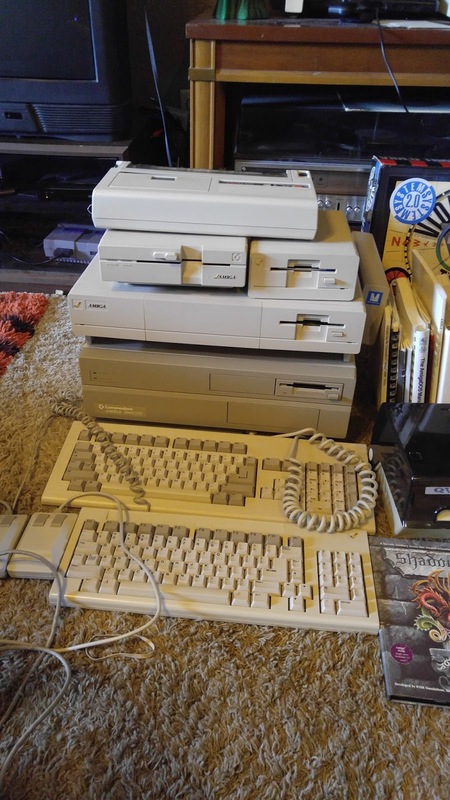 Both an Amiga 1000 and a 2000HD! I'm excited about the 2000HD the most. I've wanted one for quite a while. The hard drive works great too. 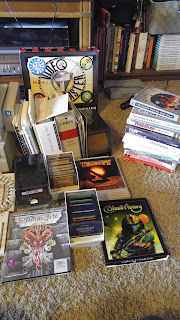 The lot also came with a TON of software. Mostly games and some video software. It came with several versions of Workbench and Kick Start. There is a lot of documentation too, which is handy when you can't find an answer online. One of the first things I need to do is remove the battery that's next to the CPU on the main board, if it hasn't already been taken off. The batteries that were installed on these are dubbed "Board Killers", since they leak and cause all sorts of corrosion and ruin the components surrounding it. Both machines work great as-is and I'll be doing some cleaning and preventative maintenance pretty soon, so I will probably post pictures if I find anything interesting. 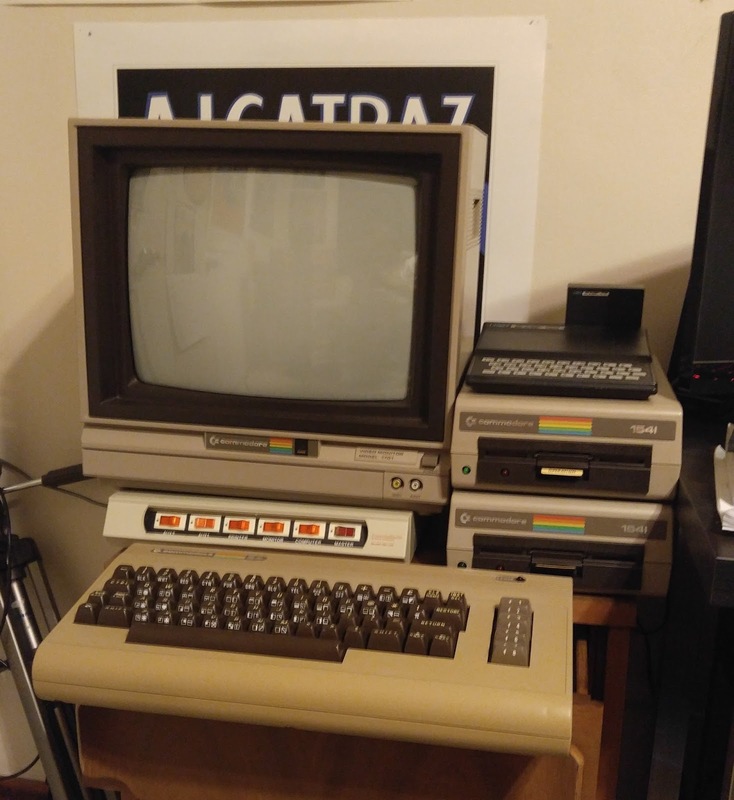 Here is my Commodore 64 setup, with guest appearance from my Timex Sinclair 1000! 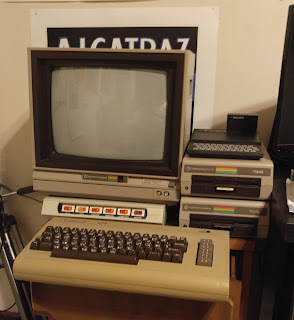 I just recently bought the 1701 monitor from a guy in San Jose. Got it for a pretty decent price, considering it came with the box. For some reason I don't have a video cable for hooking up to the chroma input. Somehow I managed to only have composite/AV cables? 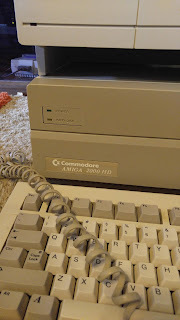 The two 1541s both work great as well. I plan on programming a C64 game eventually. 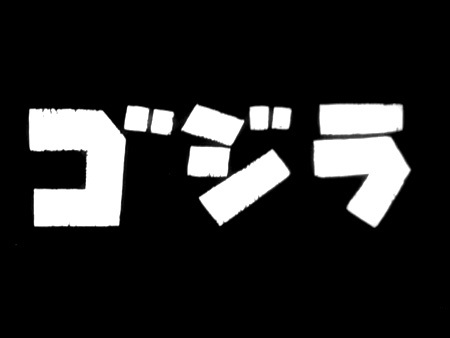 It will probably be a Blade Runner-esque adventure game. I picked up a big stack of C64 programming books at a place called Urban Ore in Berkeley CA (I suggest making a trip there if you're in the area) recently, and I have been wanting to start a project. Here is the second assignment for the x86_64 Assembly and Shellcoding Expert (SLAE64) certification. The goal of the assignment was to write a bind shell that requires a password to use. This one was a bit more difficult than the reverse shell in my opinion. The shell itself wasn't too bad, but the whole password thing took me a bit to get right. The shell kept hanging after it executed and wouldn't respond to input. Not exactly sure what was wrong, but it worked after starting from scratch a second time. I'm sure the issue was somewhere in the read() syscall. mov rax , 0x64726f7773736150 ; "Password"
No nulls! Time to pull the hex out of the objdump output. So this is my first assignment for the x86_64 Assembly and Shellcoding Expert (SLAE64) certification requirements. The assignment was to create shellcode that will spawn a reverse TCP shell that requires a password. So now that I have the my shell written, I need to compile it. Now to run objdump to see if there are any nulls. Now that there are no nulls in the shellcode, time to pull the hex out of the objdump output. Found this at a local thrift store yesterday. 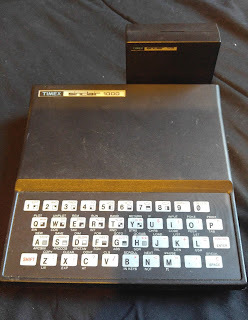 A Timex Sinclair 1000 accompanied by the 1016 RAM (16k) module. 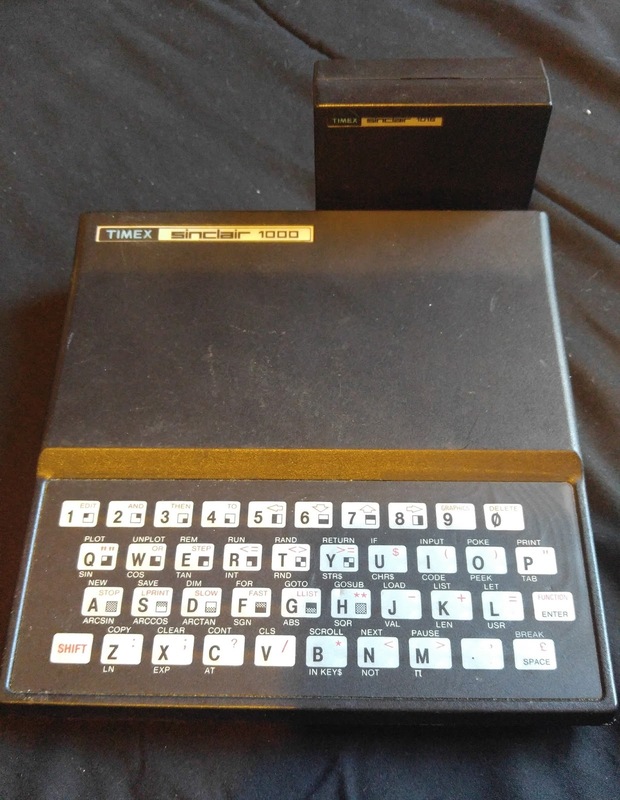 This was the American release of the Sinclair ZX81. 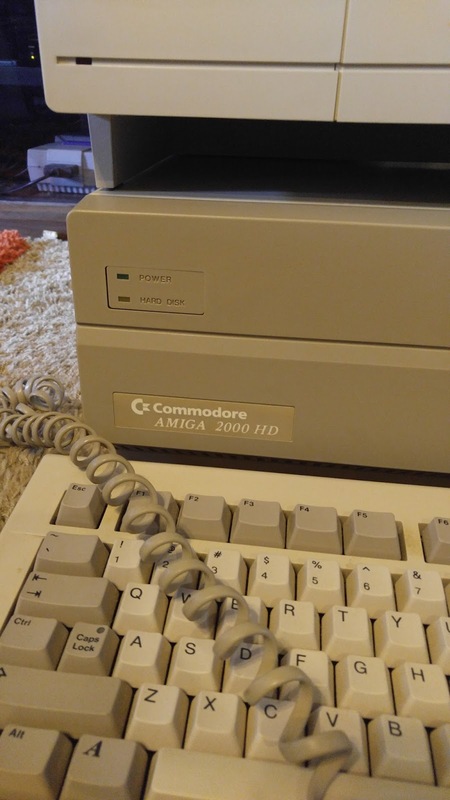 Its selling point was being the first home computer to sell for under $100. I don't know if it this one works or not because it didn't come with a power supply. I suppose I will look around for one. I should be able to hook this up to one of my older TVs if I get it up and running. Apparently you have to mod them if you you want to use one on a modern TV. I would rather keep it original though. As for the internals, everything seems to be okay from a superficial standpoint. No bad caps or any burned smell. I'm going to check it out a bit more in depth when I get a chance. The RAM module seems okay too. I suppose I'll find out what works and what doesn't whenever I find a power supply. I have some experience with x86 assembly, so I was able to pick up most of it right off the bat. It covers the basics of x86_64 assembly in Linux, which I might add that there are not a ton of resources out there for 64-bit assembly for whatever reason. Realistically, the resources are not impossible to find, just more sparse than 32-bit. The differences between the two are not that great, but having a little clarification on the addition of the R(n) registers and address sizes is nice to have. Anyways, about the course content. There are a good amount of videos that go over the basic x86 assembly instructions like mov, pop, lea etc. The later videos in the 2nd half cover topics that pertain to shellcoding specifically, like removing nulls and implementing crypters. Even though some of the basics are covered, I would recommend at least having basic x86 assembly knowledge. There are some gaps that will need further explanation if you don't have prior knowledge. The test is a series of seven assignments that you must complete and post on a public blog. I haven't completed them yet and will be posting them here at some point. All in all I am enjoying the course, I mean its only $149 and you get a certificate when you complete it. If you are looking to get into shellcoding I would give this course some consideration. So, you have a shell on a Linux machine. But what now? Privilege Escalation! (Unless you spawned a root shell of course! Then its time for some lateral movement I suppose). But before you can escalate your privileges, you will have to figure out how you are going to do it. So that brings us to enumeration, which is hands down the most important part of compromising a target. What is the kernel version? Are there known exploits for that version? Where are you on the network? What connections are established? There are numerous local privilege escalation exploits out there in the void. Are there any vulnerable applications or services running that have known exploits? Which services are being run with root privileges? Any files with SUID/SGID permissions? If there is a local privilege escalation exploit available, how will you upload and execute the exploit code on your target? What languages are supported on the machine? wget, nc, netcat, tftp, ftp, fetch etc. Where can you write and execute files? Can you view /etc/passwd and /etc/shadow ? If you can, try to crack the hashes you find. You never know! Is the account you are using a sudoer? If you have the password for the account, you may be able to use sudo. I have seen many people look over this. Are there other users that are sudoers? Always check for password reuse. Unless of course you don't want to be noisy and risk a failed authentication. Sometimes people don't think straight and put plain text passwords in .txt files and spreadsheets and all kinds of terribly insecure places, so don't disregard the idea. To make life easier, you can write your own bash script to run whatever commands you want, although sometimes it is not plausible to do so. For example if you do not have the privilege to upload files or execute shell scripts. Anyways, those are my usual go-to commands when I start enumerating for priv-esc. It is not an exhaustive list by any means, there is a whole world of possibilities out there for getting root and hopefully this will help! I'm sure I will add things as I think of them, seeing as I wrote this on my lunch at work and probably forgot a bunch of stuff. Happy Hunting. Thank you to g0tmi1k for your awesome post on the subject. I have used it more than any other blog I can think of!